Why Won't the Post Name CIA Counterterrorism Chief Michael D'Andrea? The Washington Post reported this morning that, pursuant to CIA Director John Brennan's vaunted re-organization plans, the chief of the agency's counterterrorism center has been unceremoniously reassigned. The newspaper declined to report this name, however: Michael D'Andrea. • He is a convert to Islam. 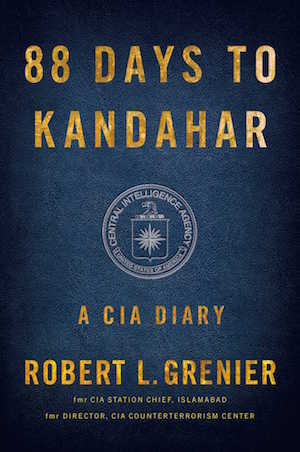 • He "directed the hunt for Osama bin Laden." • He was the "driving force of the Obama administration's embrace of targeted killing as a centerpiece of its counterterrorism efforts." • He will be among the "first to face blame if there is another attack on U.S. soil." • He manages "thousands of employees." • He spends "countless hours on a treadmill." • He has a hideaway bed in his office. • He can be "profane and brutal toward subordinates." • He was the basis for a character known as "The Wolf" (pictured above) in Zero Dark Thirty. • He is regarded by one former CIA director as "one of the finest intelligence officers of his generation." • When a co-worker once attempted to give him a cartoon sketch of himself as a gift, he "crumpled it up and threw it away...saying, 'I don't like depictions of myself.'" • He has been called "the undertaker." That's a lot of data—a compelling portrait, even—about a man who occupies a senior role in the CIA, who is accountable for the disposition of tens of millions of taxpayer dollars, who is charged with protecting American citizens from attack, and who is responsible for hundreds of deaths abroad. The one data point that is missing, however, is that name. Michael D'Andrea. A CIA spokesman asserted to Gawker that the identity of the outgoing director of the counterterrorism center is indeed classified. But that doesn't make it a secret. D'Andrea's name and affiliation have been on the internet for almost a year, and the ACLU's Chris Soghoian and others have been circulating it on Twitter today. Gawker has independently confirmed D'Andrea's identity. It's not clear why D'Andrea is being treated differently by the Post. He is not an operative being deployed in any theaters—D'Andrea is a very high-level bureaucrat with an enormous amount of power and taxpayer resources at his disposal. 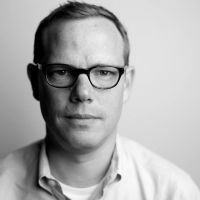 He works at a desk in CIA headquarters in Langley, Va. Generally speaking, government officials at this level are not deliberately shielded from accountability by the government, or by the newspapers that cover it. If it is the case, as Miller wrote, that D'Andrea was one of the people who would first face blame in the event of a terrorist attack on U.S. soil, it is difficult to imagine the justification for declining to name him. How would we know whom to blame? It is likewise difficult to imagine that Miller would have been able to acquire the amount of color and detail he has on D'Andrea without the tacit cooperation of some current and former senior officials at the agency. If security or classification concerns led agency officials to decide that D'Andrea's identity should be closely held, one would imagine that they would decline to cooperate with attempts by reporters to put details about his personal life—his religion, his exercise habits, his career history, his marital history—on the record. But Miller's reporting on D'Andrea has relied on interviews with or statements from "a former high-ranking CIA official who supervised the counterterrorism chief," "a former senior U.S. military official who worked closely with the CIA," former CIA director David Petraeus, former deputy CIA director Michael Morrell, and, in the case of today's valedictory, CIA spokesman Dean Boyd, who called Miller's unnamed subject "one of the true heroes of the agency." Today's story states simply that the Post withheld D'Andrea's name "because he remains undercover," which is a different way of saying that his identity is classified (the 2012 story also cited "concerns for his safety" on the part of the agency). But an assertion by the CIA that a given fact is classified has not always, on its own, stopped the Post from publishing in the past. Its reporting on the Snowden documents, for instance, has contained reams of classified information that the intelligence community did not want published. The Post decided to publish it anyway, presumably for good reasons. Asked whether any additional concerns beyond the simple fact that the CIA has placed D'Andrea under cover motivated its decision to withhold his name today, a Post spokeswoman declined to comment. Gawker asked Boyd, the CIA spokesman who commented on the record about D'Andrea for Miller's story, whether there was any reason not to publish D'Andrea's name. He replied that "we have officers who are undercover, and it's a federal crime to reveal them by name. I can't, by law, confirm that name." The law Boyd referred to is the Intelligence Identities Protection Act, which makes it a crime for people with access to classified information—or others engaged in a "pattern of activities intended" to disrupt intelligence agencies—to reveal the names of "covert agents." The statute defines "covert agents" as government officials whose identities are classified and who have served overseas within the last five years. Asked whether the outgoing director of the counterterrorism center had served overseas within the past five years, Boyd replied: "The person in that position has been in it for almost a decade. He is posted at CIA headquarters, which is in Langley, Va."
D'Andrea's successor in that post, according to Miller, is "an agency veteran who has held a series of high-level positions, including running the CIA's operations in Afghanistan. His name is Chris." Use Gawker Media's SecureDrop to reach us privately.